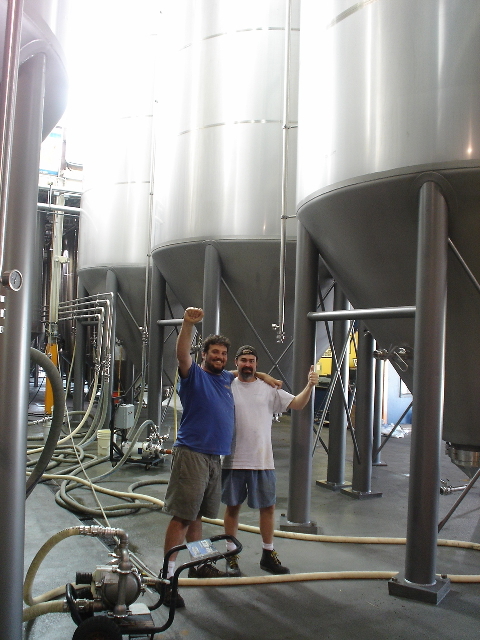 Kevin McNerney (left) is co-owner and brewmaster of Sweetwater. Nick Nock (right) is brewer and guide for our video tour. The two stand among the huge new tanks installed in 2008. Flash video by Owen Ogletree. Scroll down to access the video. "Sweetwater's tours are the first opportunity for many people around here to see a brewery and look at the process of how beer is made. They get to see the whole process from fermentation to bottling. People at our tours like a good product, and it’s a fun atmosphere that's very accessible." -- Sweetwater co-owner Freddy Bensch. Beer lovers throughout Georgia are very familiar with the flavorful and award-winning beers from Atlanta's personable Sweetwater Brewing Company. The company's year-round lineup includes Sweetwater 420 (an English-style pale ale), Blue (a golden ale with refreshing blueberry aroma and flavor), Georgia Brown (a complex, slightly dry brown ale), Hummer (a malty, Belgian-style Witbier with a spicy coriander finish), and IPA (a flavorful pale ale loaded with citrusy hops from the Pacific Northwest). Sweetwater's beers currently sell throughout most of the Southeast, and the immensely popular Sweetwater 420 holds the title as the most popular craft beer in the state of Georgia. The Sweetwater brews are made with love and enthusiasm by all the employees at Sweetwater's sole brewery location at 195 Ottley Drive in midtown Atlanta. 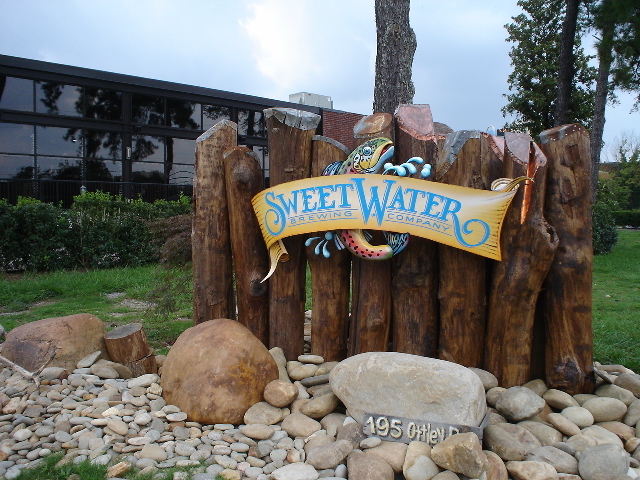 Sweetwater opened its first Atlanta brewery location around 1997 out I-20 near Fulton Industrial Boulevard, quickly outgrew those digs, and moved to their current abode in 2004. The first order of business at the new brewery was the installation of the new equipment and starting beer production as soon as possible. Demand for the Sweetwater brews was so great, that the company did not even have time to build restrooms or offices at the new brewery for the first couple of years. The brewery now includes a beautiful tasting room / visitors' center and additions of massive new fermenters and storage tanks. Demand for the Sweetwater brews shows no sign of slowing down.